According to PwC’s Health Research Institute (HRI), 2016 will be a year of firsts for players within healthcare as the industry adapts to the main forces driving the New Health Economy: the rise of consumerism, the focus on value, downward pressure on costs, technological innovation and the impact of new entrants. Innovation:More and more, health technology in the palm of your hands will mean more than just monitoring – it will also mean diagnosis and treatment. Sixty percent of consumers are willing to have a video visit with a physician through their mobile device, while 58 percent of clinicians would rather provide a portion of care virtually. Additionally, new high-tech databases will allow industry players to analyze data from many sources in novel ways, finally unlocking new insights. Shouldering higher deductibles and rising out-of-pocket expenses, consumers expect to begin to manage their health spending like they manage their retirement savings. Access to care:In 2016, the US health sector is expected to see a new class of products – biosimilars – introduced to the market, bringing potential savings with them. The New Year may also bring renewed attention to behavioral health, long relegated to the industry’s back burner. However, the issue will be access. More than half of US counties have no practicing mental health clinicians. Additionally, with mounting budget pressures, care may move to the community as health systems pursue lower-cost care settings more aggressively and creatively than before. Troubleshooting issues in the New Health Economy: With 2016 being a presidential election year, industry issues such as drug pricing will be in the spotlight. Additionally, as insurers, consumers and purchasers are demanding better value, providers may be scrambling to unlock the medical cost mystery and calculate the true cost of services. 2016 should also be a year in which the industry is dramatically reshaped by consolidation, as the insurance market should inch closer to being dominated by three major players. Finally, with the rise of health technology comes the rise of cybersecurity Nearly 40 percent of consumers would abandon or hesitate using a health organization if it is hacked. 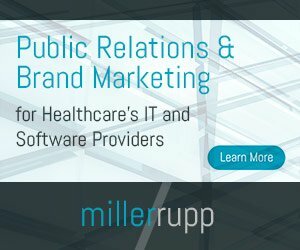 More than 50 percent of consumers would avoid, or be wary of using, a connected medical device if a data breach was reported. Care in the palms of consumers’ hands should move beyond health monitoring – providing diagnosis and treatment anywhere, anytime. From “bedless” hospitals to smartphone medicine, a growing share of care can and will be delivered remotely. As consumers begin to manage their health spending like they manage their retirement savings, companies may look for creative ways to solve payment problems. This could include bundling innovative financing with other offerings that cater to consumers’ demands for convenience and value. High hopes surrounding big data investments in healthcare may have previously been unrealistic. There is a real challenge in converting large and diverse datasets into practical insights. However, in 2016, with the emergence of “non-relational” databases, this could all change and health organizations may finally be able to use the reams of data they have collected. With mounting budget pressures, health systems may pursue lower-cost care settings. In the past 24 months, five out of the top 15 academic medical centers have acquired community hospitals. The rise of retail clinics should also continue. Seventy-four percent of clinicians surveyed said that these types of non-traditional venues improve access to care. Sixty-seven percent of consumers who have used retail clinics were “very satisfied” with their experience. Behavioral health should be a key issue in 2016 as one out of five American adults experiences a mental illness every year. These conditions cost US businesses more than $440 billion annually. Employers and healthcare organizations may address behavioral healthcare to keep costs down, productivity up and consumers healthy. Biosimilars will reach the US market in 2016, offering a discount from biologic specialty drug costs. Four more biosimilars are poised for approval, with another 50 in the FDA review process. These substitutes for branded biologic drugs will begin to offer some counterweight to rising drug prices. By mid-year 2015, healthcare deals had already broken records set in 2014, with nearly $400 billion in agreements announced. Unconventional partnerships across the industry should dominate 2016. Pharmaceutical companies may look to acquire beyond-the-pill products and services to bolster their portfolios and pipelines. Collaborations between independent hospitals and clinician groups/top-tier health systems will generate more consumer touchpoints. Health systems often can’t identify the cost of the services they provide, but in 2016 they may face pressure to unlock the mystery of true costs as stakeholders push for value. This will be more than just an exercise to control spending – it could help uncover opportunities to become more efficient and improve care. For the first time in 2016, medical devices from mobile apps to insulin pumps may see real threats from hackers and criminals. Device companies and healthcare providers will need to be proactive to maintain trust in medical equipment. Network architecture and design will be critical to preventing breaches that could cripple the industry. Drug pricing has reached a boiling point in the US. With the rise of high-deductible healthcare plans, consumer frustrations are likely to increase. Under threat of strong government action, pharmaceutical companies may contemplate new models in 2016. Their focus may be on conveying value, justifying the cost of drugs through complementary programs, or considering alternative financing models. For the full report, videos with industry experts, graphics illustrating each issue and a look back at the past decade in healthcare, visit: http://www.pwc.com/us/tophealthissues.